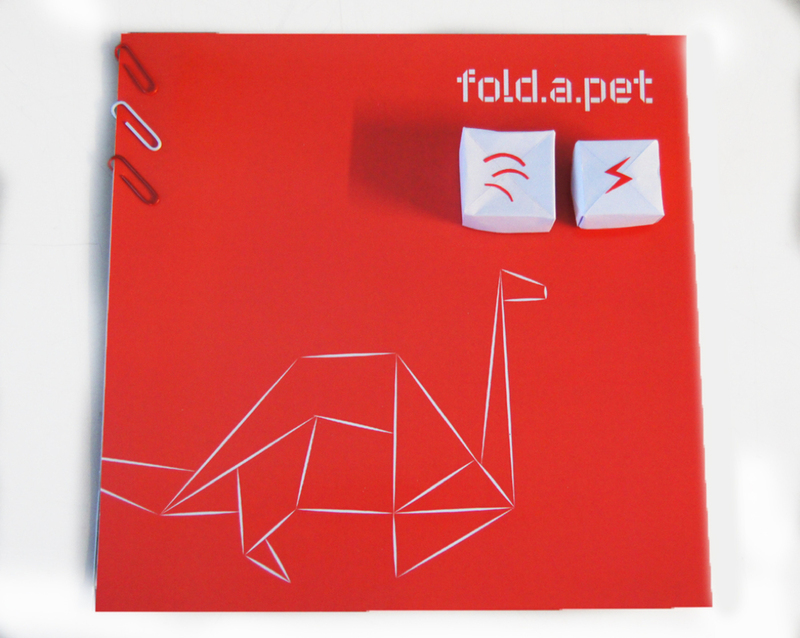 fold.a.pet. is an exploration of the evolution of the remote controlled car. combining the magic of remote controlled toys, that is, being able to make something static come to life without direct manipulation, with children's fascination with origami's ability to endlessly transform a blank sheet of paper into any shape, i created fold.a.pet - a DIY remote controllable origami toy. with the proliferation of technology, there has been a move away from hands-on making, this product would get children would get more curious about their physical world, and question what’s going on behind glowing screens. the final toy came along with instructions to fold paper with printed electronics circuits, and vibrating motors to clip in. the aesthetic is deliberately very "hack-y" encouraging experimentation with different shapes and forms.